The best way to get started is to come try a class for free. Many new students join each month and they all start here. 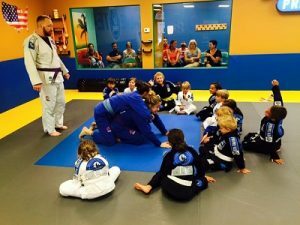 Our coaches are skilled at helping new students and our team is friendly to beginners, so schedule TODAY! Who should Take a Free Intro Class? 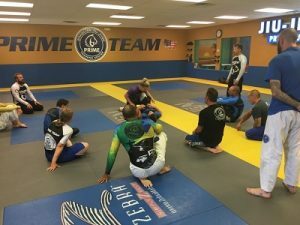 Anyone with OR without experience who is interested in training Brazilian Jiu-Jitsu at Prime BJJ. This includes children AND adults! What Times are the Intro Classes? Walk-ins are welcome, however, we encourage you to schedule your class if possible. It’s best to show up at least 15 min prior to the Intro Class time with athletic wear (shorts/workout pants and shirt.) We have changing rooms and trial uniforms. Please be sure that your fingernails and toenails are clipped short. Scratches can increase the risk of skin infection.